If you have any manufacturing problems, we have solutions. With over a century of combined experience in the industry, our team can help you solve your problems. We provide immediate assistance to help resolve your production challenges. We can offer help from the desktop right onto the manufacturing floor. Defect Resolution: Don’t just fix the problem to get through the run, solve the problem for good. We will review and test each step to make certain to resolve the problem. Training the Entire Manufacturing Team: Our training programs have been delivered around the world for more than 30 years. 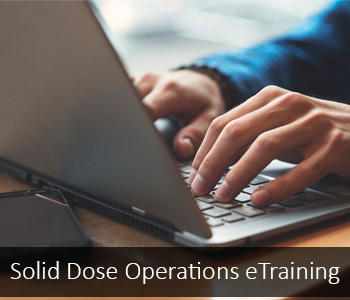 We are available for in-plant training, hands-on training, and also bring our training to your computer via WebEx live and pre-recorded training events. We provide the training and consulting worldwide. Training the Trainer: We can help train and improve your manufacturing and quality teams, so you can carry on with continuous improvement and your own training the right way! Tablet Press Experts: Press not running right? Call us today! Our team will troubleshoot your situation and get you on the right track fast; we guarantee it! Techceuticals can assist with new and used equipment selection for your particular application.